Donna enjoys using her arts background to create fun craft projects with a special focus on using repurposed or handy household materials. I really enjoy using scrapbook paper and washi tape to make various projects. 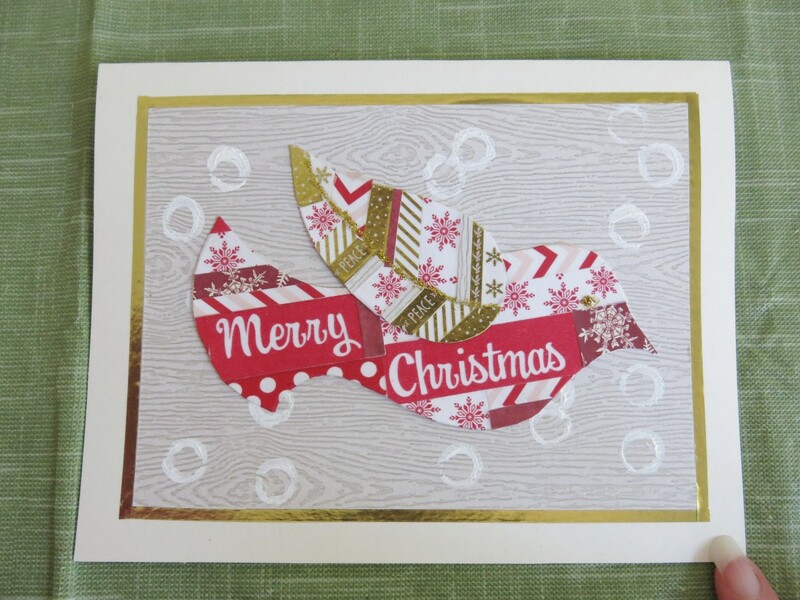 But this holiday season, I've found a way to use some of the little pieces left over from my other projects to make beautiful Christmas cards. 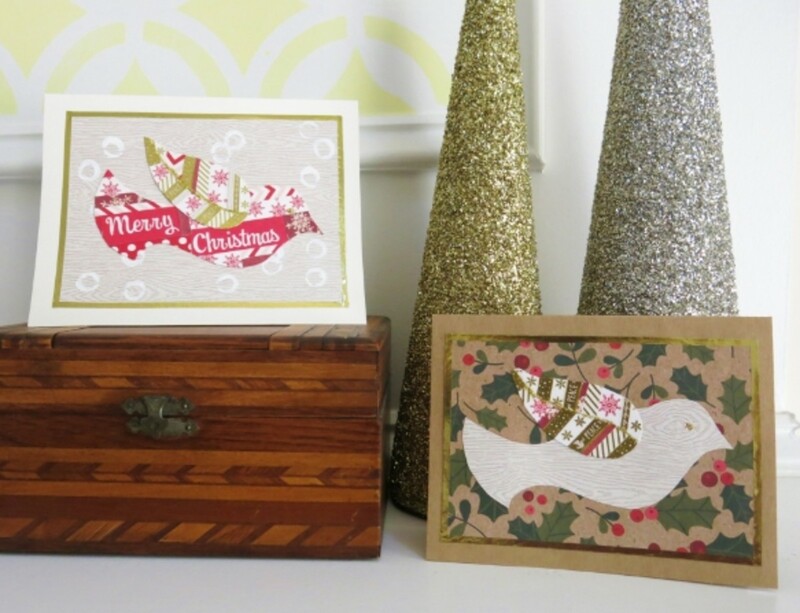 These holiday cards feature three of my favorite things—Christmas doves, quilt inspiration, and holiday cheer! 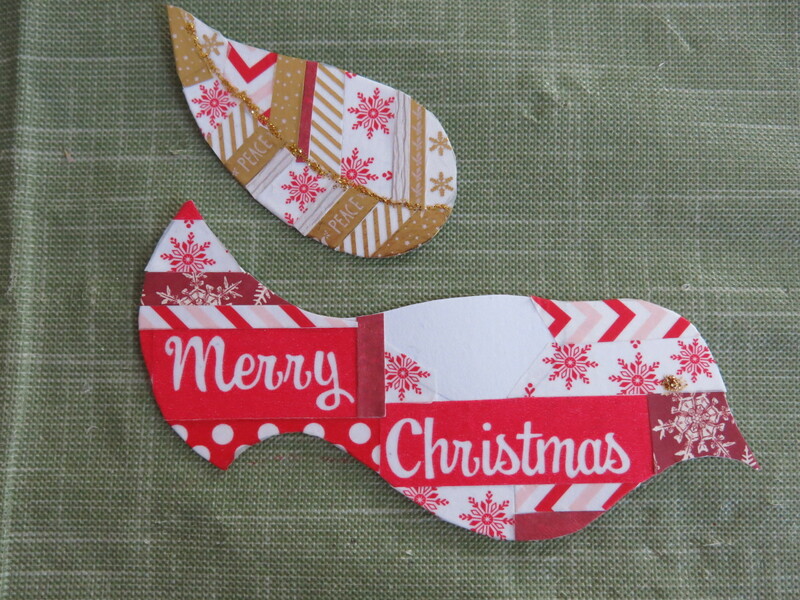 And this card design requires no special cutting machine since the dove template is included in the tutorial below. 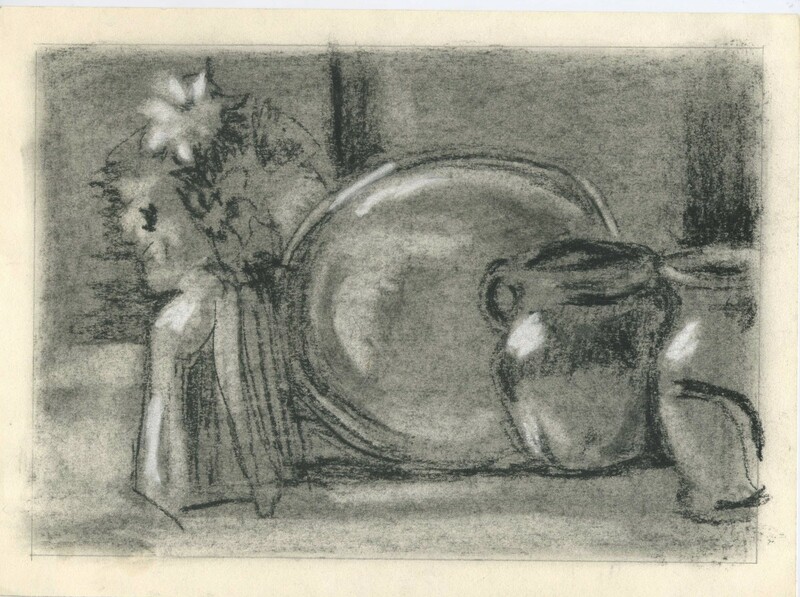 Blank card and envelope (if needed). These are available at most craft or stationery stores. Selection of washi tape and/or scrapbook paper (preferably Christmas themed). There is a huge selection of washi tape and scrapbook paper available at craft stores. 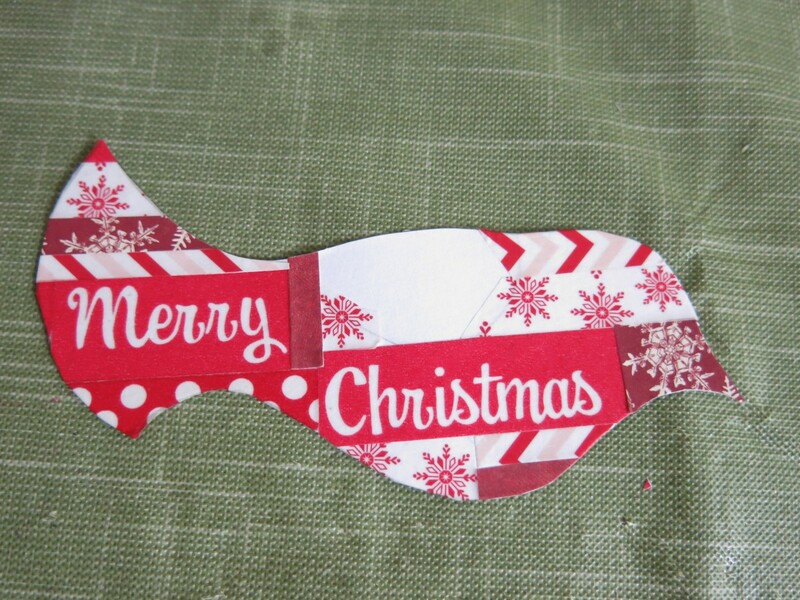 For Christmas projects, you can also use pieces of holiday gift wrap. Heavier weight gift wrap with smaller designs would be best for making cards. Glitter glue or a marker that matches the main color of the scrapbook paper. (Optional) A choice of sequin, and/or adhesive gems to decorate your card. These are also available at craft stores. 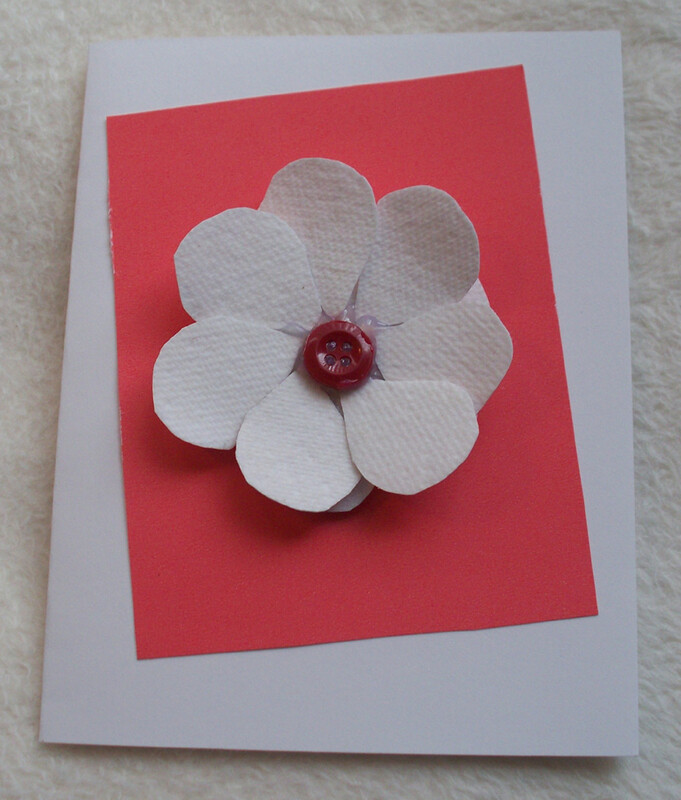 There are a number of ways to add a greeting to the inside of your handmade card. 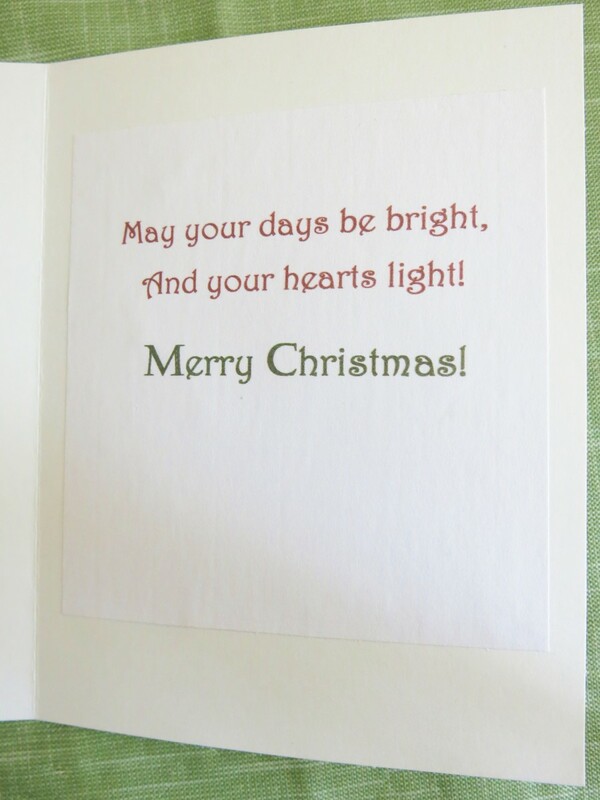 Your greeting can be added before or after decorating the card, but I find it easier to add it before. Handwriting your sentiment to give it a personal touch. Stamping the greeting. There is a great selection of holiday stamps at craft stores. 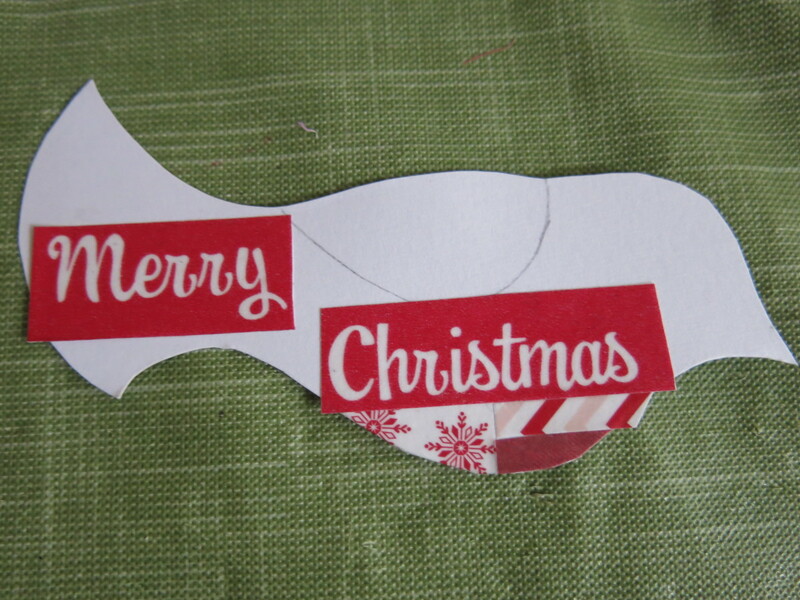 Recycling old cards by cutting out the greeting and pasting it inside the card. You can hide the edges with a border of decorative washi tape. Print out your greeting on stationary and paste it inside. I chose to print out my own greetings. I looked at some old Christmas cards to get ideas for a greeting, then printed the greetings out on some resume paper, four to a page. I cut them out and trimmed them to fit in my card, using a glue stick to paste them inside. Step 1: Print out the dove template above on some white copier or printer paper. The size of the dove will depend on the size of the blank card. My cards were 5 inches by 6 1/2 inches. For my cards, I printed out my dove to be about 4 1/2 inches long from tail to the tip of the beak. 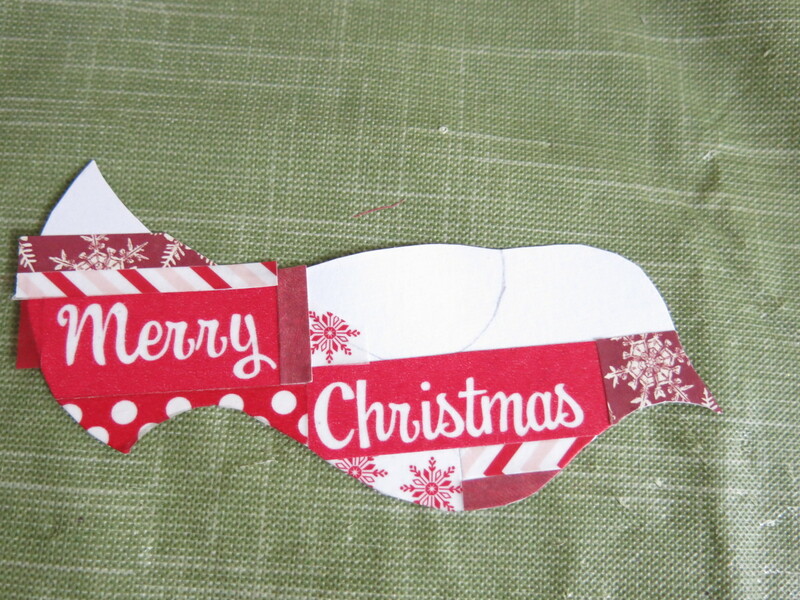 Step 2: Take the paper dove template and overlap the wing section over the body in the position you want for your card. 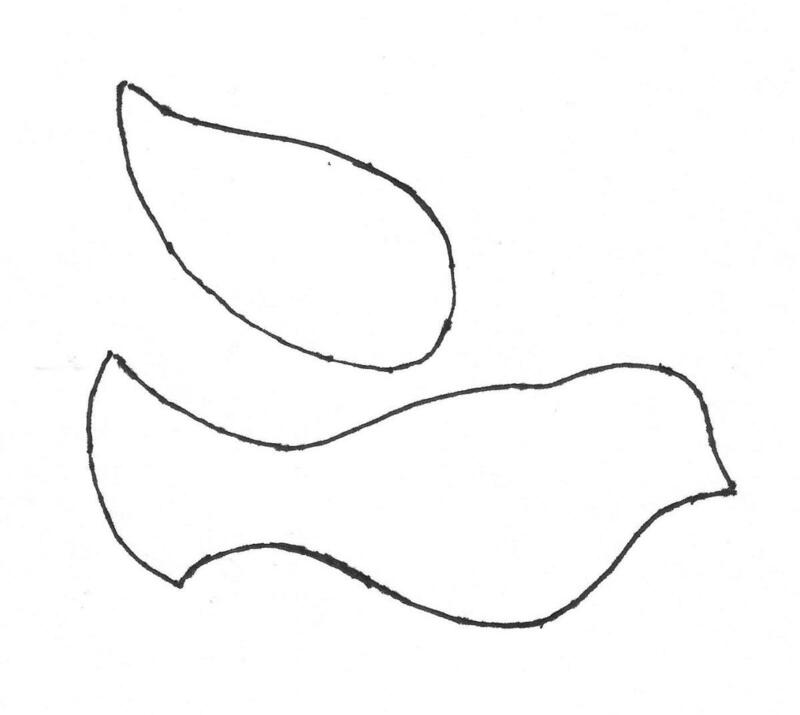 Use a pencil to outline the overlap area on the dove body (see photo above). By marking this overlap, you will avoid wasting materials in an area that will be covered up. At the same time, draw a dividing line along the length of the wing. Then put the wing template to the side. 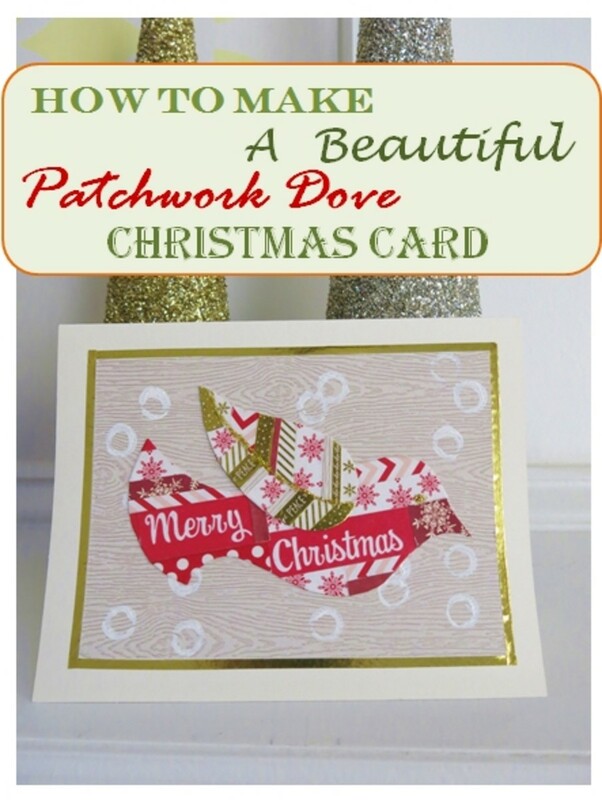 Step 3: To create the patchwork design of the dove, you can use a combination of scrapbook paper, gift wrap, and washi tape. To use the scrapbook paper and gift wrap, cut these materials into long, thin strips (no more than 1/4 inch) of varying widths. Use a paper trimmer or cutter to create a clean edge on the strips. 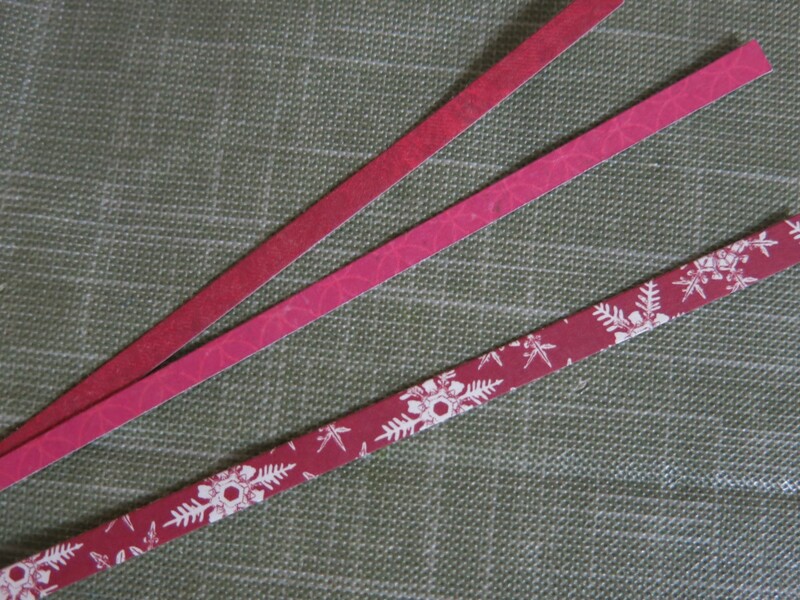 Step 4: You can also trim down wider washi tape to use in this project. Adhere the washi tape along the edge of a clean piece of white printer paper. Be sure to position the tape so that it is straight and runs even with the edge of the paper. 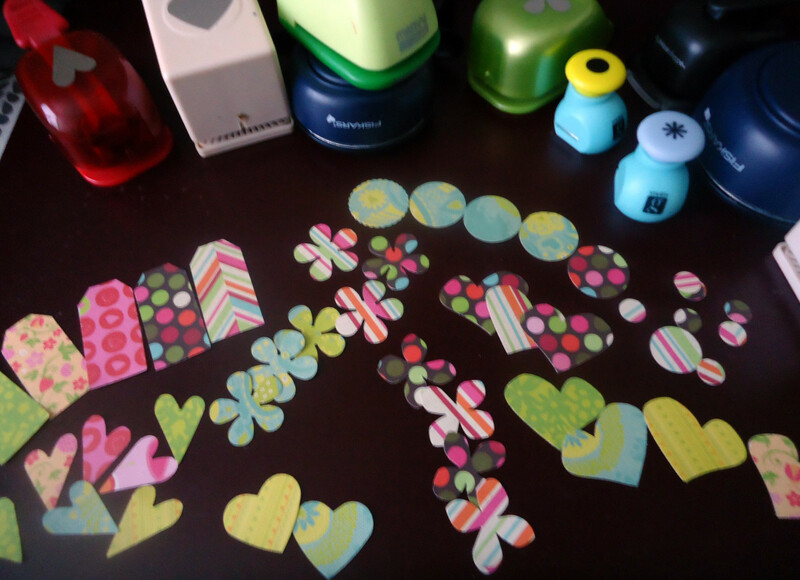 Then use scissors or a paper trimmer to cut the washi tape in half lengthwise. 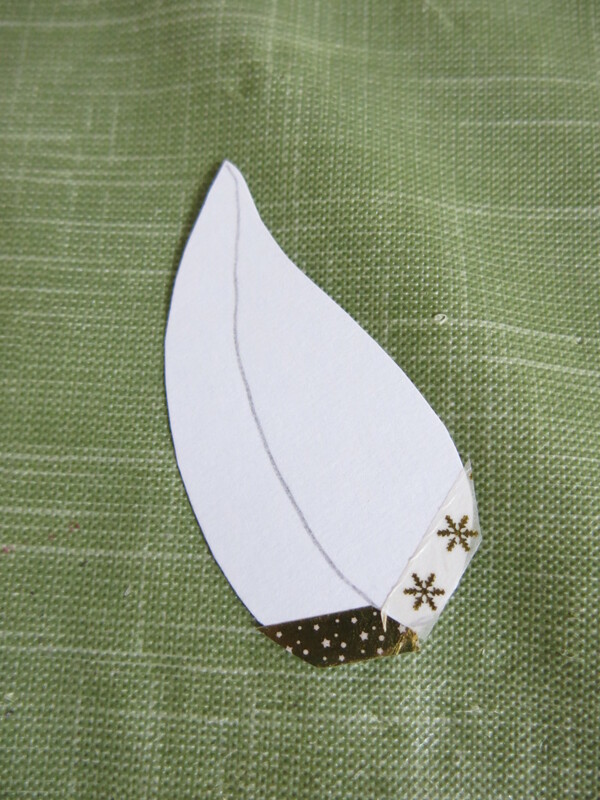 You can use a glue stick on the paper backing to glue down the cut washi tape as needed. Step 5: Starting with the body of the bird, use small pieces of scrapbook paper and washi tape to build a patchwork design. I found it easier to start at the bottom of the dove's belly. I ran most of my pieces of paper and tape in horizontal lines as I built my design, but you don't have to. To make an interesting design, mix pieces of thick and thin paper and tape to create the patchwork collage. Make clean cuts on the ends of the tape and paper to keep the design neat. You can trim the ends along the bird's shape as you go. 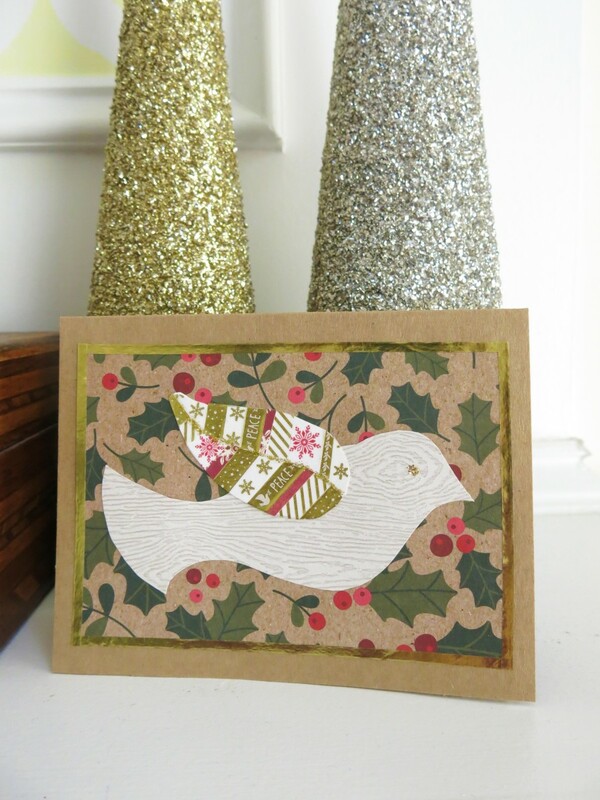 Step 6: I used some washi tape to add a holiday greeting. I avoided putting my tape in the area where the wing would overlap so that it would be readable. I also periodically placed my wing over the dove's body so I could see how my finished design would look. 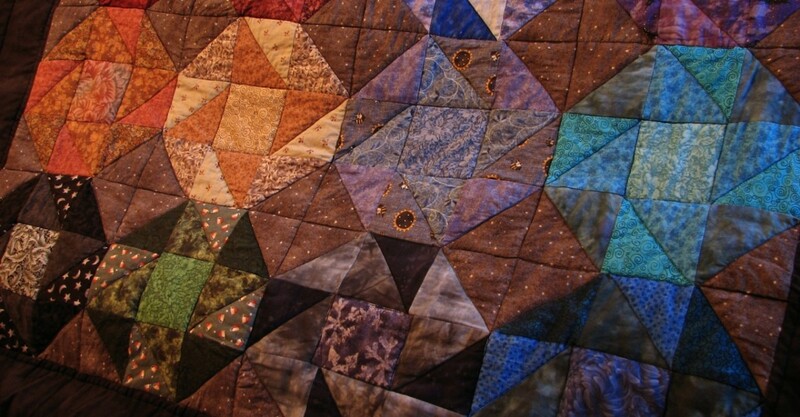 Step 7: Keep adding pieces to build the patchwork collage. You can see how mixing wider and thinner strips creates an interesting design. This process goes quicker than you think. 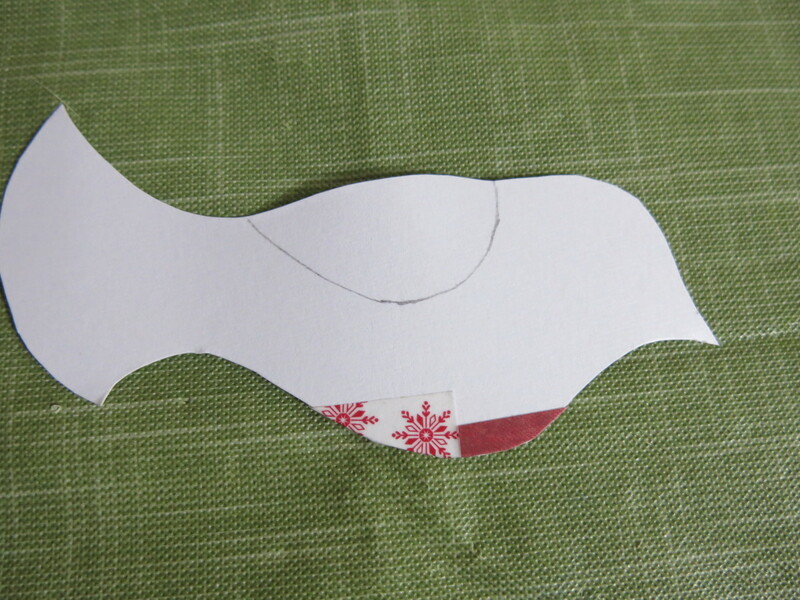 Step 8: When the dove's body is covered, turn it over and trim any paper ends from around the body. Then put the bird's body to the side. Step 1: Take the bird's wing and start decorating it in the same way. Use the dividing line in the center to begin and end strips of paper and tape on both sides of the wing (see photo above). I set my strips on a slight angle, but you don't have to. You can lay them out straight. I also used different designs on each side of the wing, but this is optional. Step 2: Try to trim the strips as neat as possible at the center line. However, you can cover up some overlap in the next step. 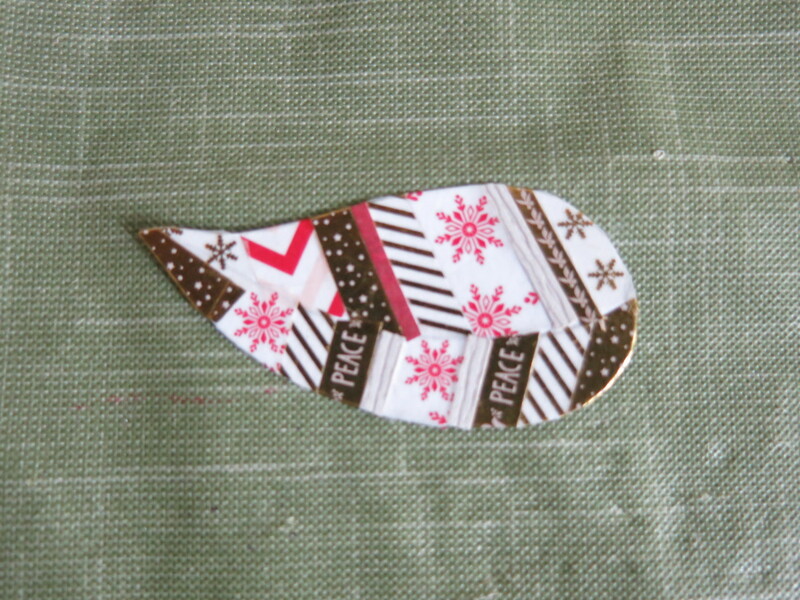 Step 3: Use some coordinating glitter glue or marker to cover the center dividing line on the dove's wing. At this time, you can also add an eye on the head of the dove. Step 1: (Optional) You can add a background to the front of the card. There are a number of ways to create a simple background. I used a piece of stationary as my background. I cut this paper to be 5 1/2 inches wide and 4 inches tall to fit my card, and glued it down using a glue stick. Step 2: Then I added some washi tape around the edge of my background paper as trim. 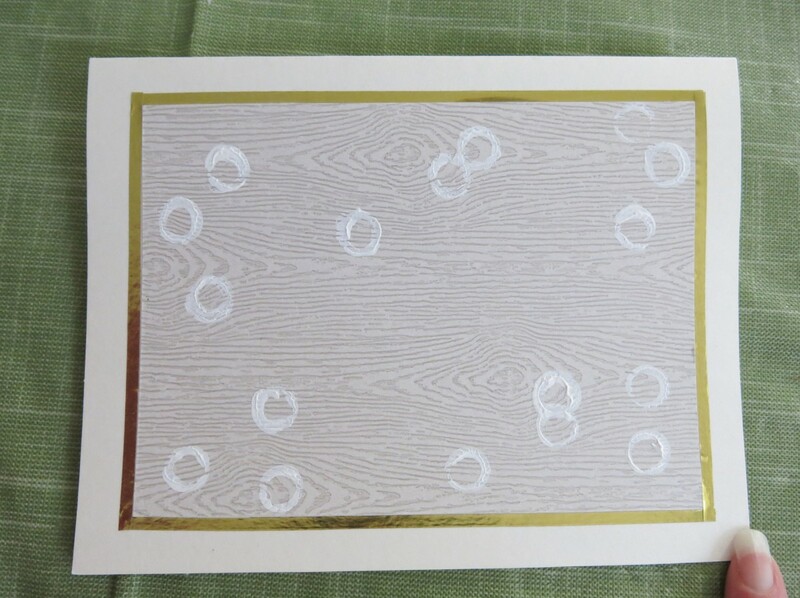 You can also add a line of glitter glue as a border around the background. Step 3: To finish, I glued down my dove with its wing. 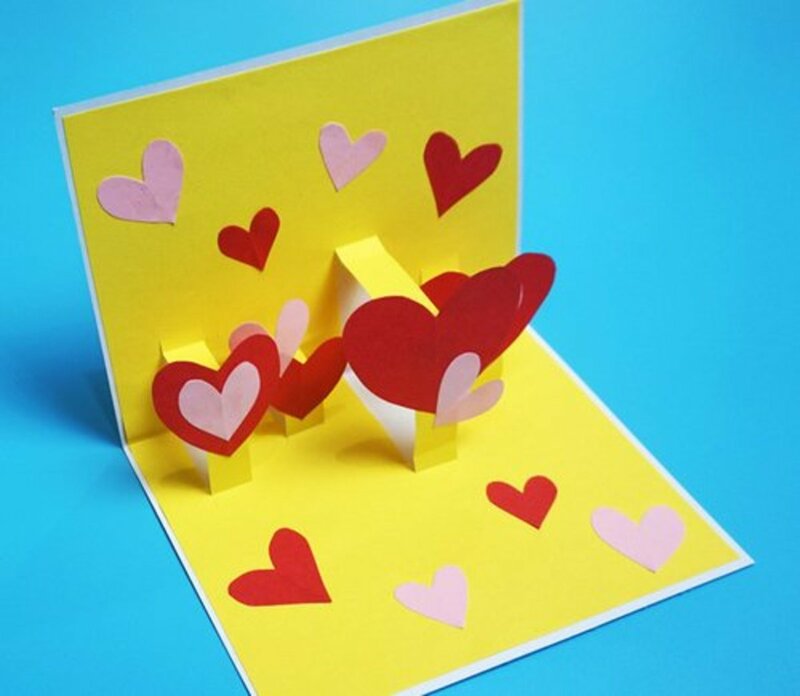 I really like how this greeting card looks and I am happy to use up some of my small pieces from other projects! I made another card with the same technique - but this time, I used a solid piece of scrapbook paper for my dove's body and only decorated the wing. Likewise, you could use a patchwork collage for the bird's body and make the wing from a solid piece of paper. 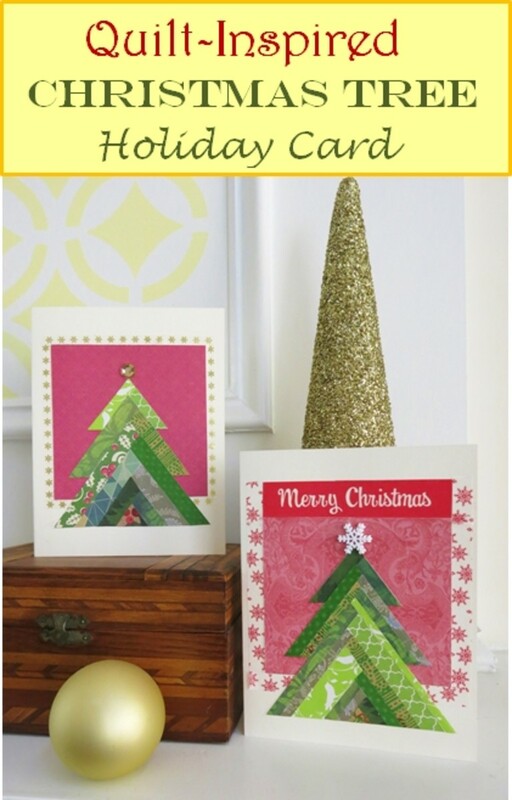 I hope you try to make some of your own patchwork cards this holiday season! Thanks, Heidi! Hope you at least find some time to relax and enjoy the holidays. Thanks for stopping by and commenting! So cute, as always (even though it's unlikely I'll have time to do anything cute and crafty for the holidays)! 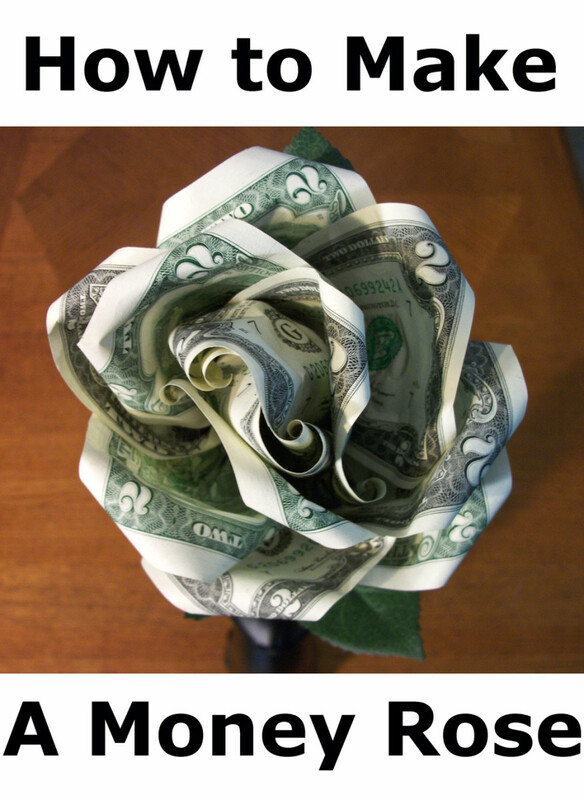 I just like looking at your creative and clever projects. :) Have a beautiful Thanksgiving! Thanks, Claudia! I'm sure your cards will be beautiful. Your friends and family are very lucky. 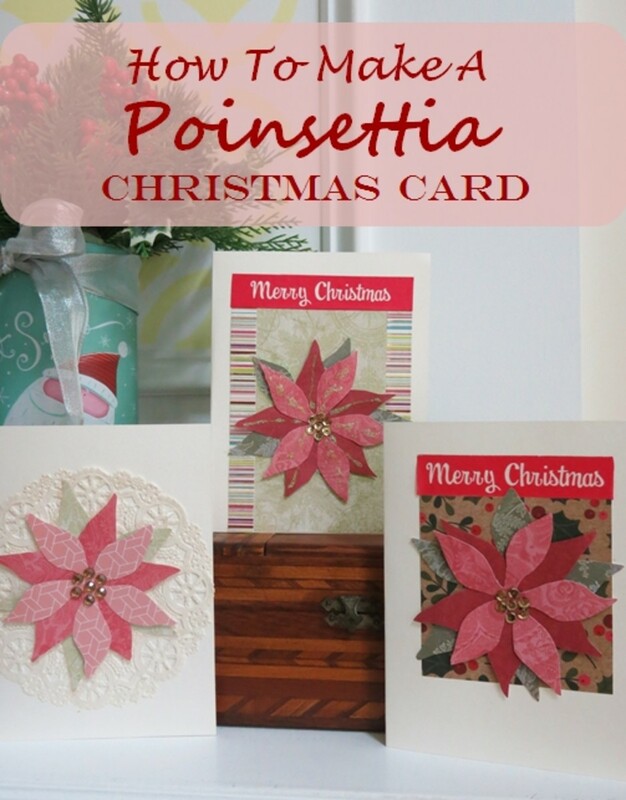 I have a few more cards and designs to finish for this season. I'll be working on them over the Thanksgiving weekend. Have a happy holiday! Thanks, Sally! I'm sure your busy with your own Christmas crafting right now. Good luck and happy holidays! So lovely Donna. I'm doing homemade cards this year and am trying to mix them up. Definitely adding this idea to my rotation. Thanks and Have a Happy Thanksgiving. This is a very cute project, Donna. I love the personal handmade touch, especially at Christmas time.